This review is going to be rather short because I think it's sort of an injustice to review a book like this. It was beautifully written and utterly heartbreaking in all the best ways possible. Hazel Grace and Augustus Waters were complex and completely real people that you grew to care about. I can't say very much without giving something away but I can state without a reasonable doubt that it was one of the best books I've ever read. Hazel and Augustus's relationship was beautiful and really pulls at your heartstrings. The bittersweet humor. You can't talk about cancer without getting sad, but when John Green throws in a little humor in there it turns it all around. Augustus Water's Soul. He just is. "An Imperial Affliction" and Peter Van Houten. His douche bagginess at the worst of times makes me want to hurl and cry and laugh at the same time. I hated the ending. In a very good way. The cover of the novel doesn't reveal very much at all, but it's simple and sweet, just like the story it tells. John Green is one of my favorite authors, and before this book Looking for Alaska was my all time favorite. 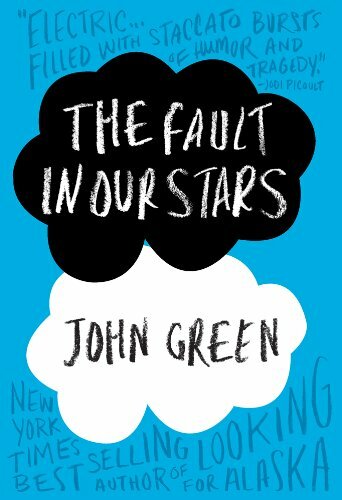 After reading The Fault in Our Stars, I have to say this one takes the cake. I laughed and I cried and I sighed and I smiled which are all great things that go along with reading great books. I recommend this to anyone and everyone.